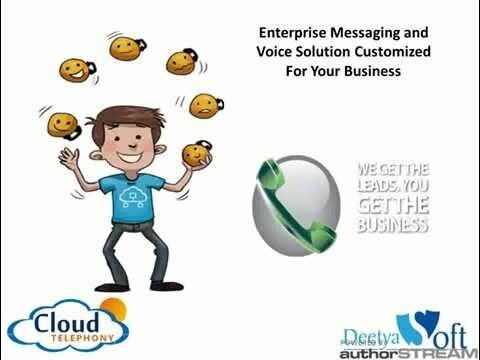 IVR Cloud Telephony Service System is an efficient tool for routine inbound inquiries, as well as common outbound notifications by IVR Guru. IVR acts as a reception hosted virtually in a cloud telephony environment providing a 10 digit mobile number or a landline number, on which the customers can call 24x7. The customers are greeted with a customized message as per your requirements and can select the extension pre-defined by you to speak with the concerned team member or leave a voice mail. Deetya Soft Pvt. Ltd. is an IT solution provider for varied services in application development, website designing, mobile application development, and web portal, online business promotion (Toll-free, IVR Solution, SEO, SMO, Short Code, PPC, and Facebook Adds etc). You can make your own mobile number/ Toll Free number as a virtual number and map executives to it. You can add 'n' number of executive against a Virtual Number. You will get Call tracking panel to track inbound calls. You can set call pick priority according to you for Sales Team. You can provide access to your executive also; so that they can see their own call record. 100% voice recording of each picked call with play/download option. Q. Where is my voice application / IVR stored? The Voice Applications / IVRs are stored on our servers in data-center. Q. How is integration with existing applications handled? Integration with the existing applications / website can be done through APIs. Q. Which format of audio files are supported? The format supported are asterisk server compatible .wav and .MP3 formats. Q. Why am I not getting any SMS? You may not get SMS under following circumstances: The Virtual Number may not be configured to send SMS to employees/executives. Please contact the system admin to review the settings for the Virtual Number. If the number of characters of SMS is more than 140 then the operator may drop the SMS and not delivered to your mobile. Sometimes short lived problem can occur at the SMS operator end and the SMS may not be delivered until the operator resolves the technical problems at its end. Lastly sometimes, due to network traffic, you might get the SMS a little later but surely within 1-2 min of the call getting over. Q. Why is an employee not getting any calls? There can be several reasons for this: If its a new employee, this employee needs to be added before the calls get routed to him/her. Mobile number added is incorrect. Employee working hours might not fall in the time when you are expecting a call. There may be low priority set for that employee. Employee maybe disabled in the Virtual number's employee list.